Fraggle Rock, the popular children’s television series created by Jim Henson, first aired in 1983. Over five seasons, 96 episodes, and 100 original songs, the show told the stories of a diverse species of Muppets: the fun-loving Fraggles, the work-obsessed Doozers, and the giant-sized Gorgs that cohabited interconnected subterranean magical caves. Pop-culture purveyor Funko has teamed up with The Jim Henson Company on a series of Pop! Vinyl renditions of the Fraggles. 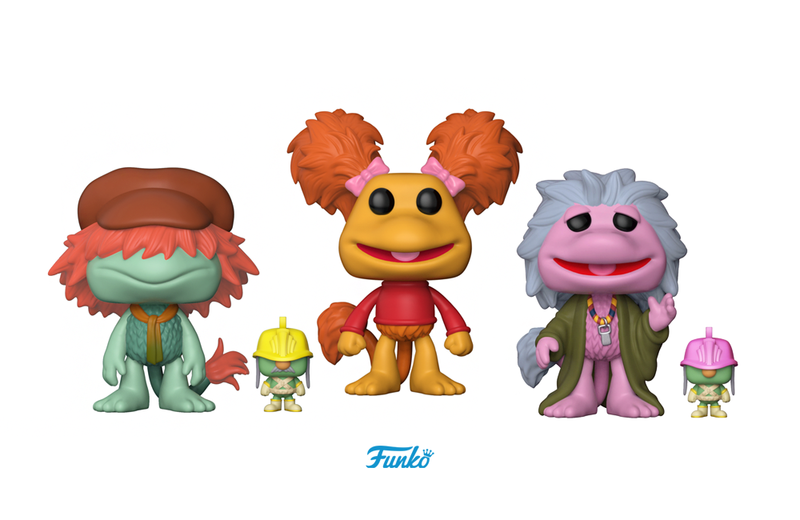 The Wave 1 set features the entire Fraggle gang, including Red, Gobo, Wembley, Boober, and Mokey. Uncle Travelling Matt fans should not fret – Funko plans on releasing a Pop! Vinyl version of him exclusively to comic book stores and specialty shops. Each figure also comes with its own Doozer – because, you know, someone has to get some work done! Each Fraggle Rock Pop! Vinyl figure retails for $10.99 USD. The series is available for pre-order now, with delivery expected in January 2018. Home furnishings retailer Restoration Hardware has released Four Up, an upscale version of the popular “four-in-a-row” checkers game Connect Four. Adult Fans of LEGO (AFOLs) can get their brick-building fix in new dimensions, with EverBlock, a modular building system that resembles super-sized LEGO bricks.